The exercises for practical life are designed to teach the child to function in his own environment by teaching him how to cope with the things around him. The daily functions of our home are routine and simple to us, but they are new and exciting for the child. 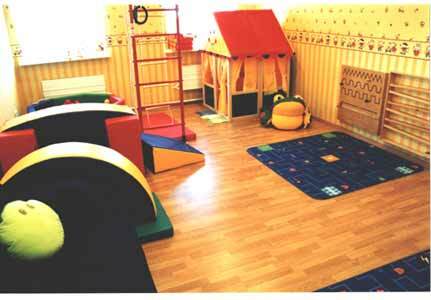 In this zone the child learns how to look after himself and its belongings. Sensorial exercises are concerned with the development and refinement of the senses, thereby sharpening the child's intellect and control and preparing him for the more advanced exercises. Here the child develops the senses of sight, touch, taste, smell, sound, and also has an opportunity to train in distinction of temperatures, to feel a difference in weight of subjects, and certainly to develop his muscular memory. Reading and writing go hand in hand and the early work with the Montessori sensorial materials prepares the child for the introduction to both. Through the development of the senses of touch, sight and sound the child has refined his movement of hand and fingers and prepared to handle pencil. Using sandpaper letters the child learns to recognize the letter by sight and touch as well as by hearing each letter spoken. Through the movable alphabet he acquires a familiarity with the alphabet and sees how letters are put together to form words. Sensorial training is of great importance in learning of arithmetic. Exercises with sensorial materials teach the child to think logically and precisely, so he can easily interpret familiar concepts to mathematical terms. Arithmetic development goes very naturally: the child simply lives in the prepared environment penetrated with mathematics. The zone of arithmetic development contains all necessary materials that teach the child operations of addition, subtraction, multiplication and division, to help him to master decimal system school. This zone allows the child to systematize his knowledge of the environment by studying the basics of physics, botany, geography, anatomy and other natural-science disciplines. To realize his place and mission in the world. Перевозки 5 тонн частные грузоперевозки 5 тонн. | доставка цветов ростов-на-дону - подробности у нас!